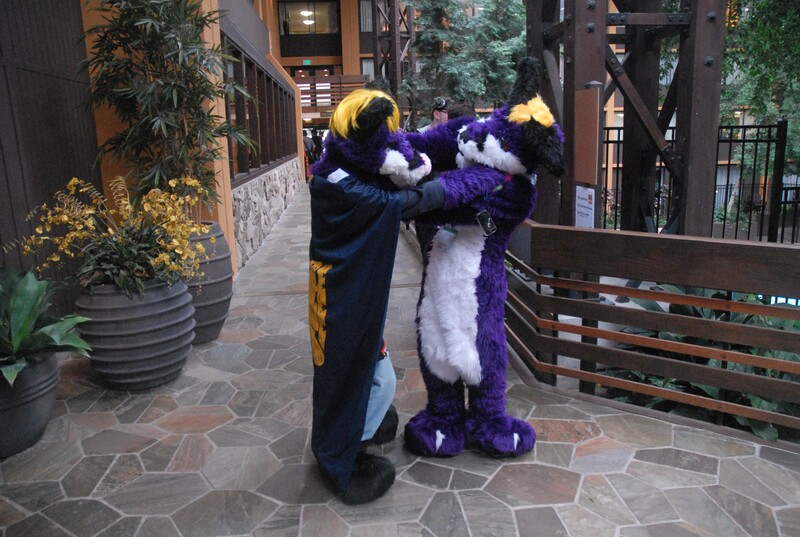 This is a picture of me and Grontalis at Rainfurrest 2010. He had two fursuits, so he was generous enough to let me wear one. Some of his friends had quite the hard time figuring out which of us was which. Can you figure out which Grontalis is Direlda in disguise?